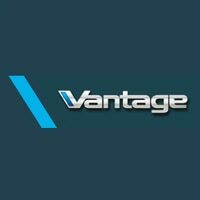 Vantage Motor Group is a known and trusted car dealer with outlets throughout the north of England, selling new and used vehicles from a variety of brands. Customers can use Vantage Motor Group dealerships to buy a car or van, receive servicing on your existing vehicle, or hire one out on a contract basis. In addition to these services, the company offers finance packages and participates in a Motability scheme for certain cars, making it easier for disabled drivers to get a new vehicle. Originally established in Yorkshire in 2003, the Vantage Motor Group began life with just three Toyota centres, and has since branched out to several locations around the country. In the group’s early years, it focused on the sale of Toyota vehicles in Yorkshire under the leadership of the Managing Director Mark Robinson. Further Toyota sites were acquired over the following years, and in 2011 the company’s first Hyundai location was opened in Manchester. Today, the group operates over 20 sites located in northern England and the West Midlands. A number of manufacturers are represented by Vantage Motor Group. The business sells a range of new cars from Lexus, Toyota, Hyundai, Honda, Kia, Citroen, Skoda and Mazda. Vantage Motor Group’s stock ranges from compact, city-friendly hatchbacks like the Toyota Yaris, to sleek sports cars like the Mazda MX-5 sports car. Second hand models from these marques are also stocked, along with other used cars from manufacturers such as Audi, BMW, Ford, Nissan and Renault. Eco-conscious customers can benefit from Vantage Motor Group’s selection of hybrid vehicles.